Most recently I explained the various reasons why the days of Creation in Genesis 1 MUST be interpreted as normal, 24 hour, calendar days. But there are a couple of objections brought up by The Old Earth Creationist (OEC) model which are worth noting, mainly because they are so inadvertently funny. Like Chickens! 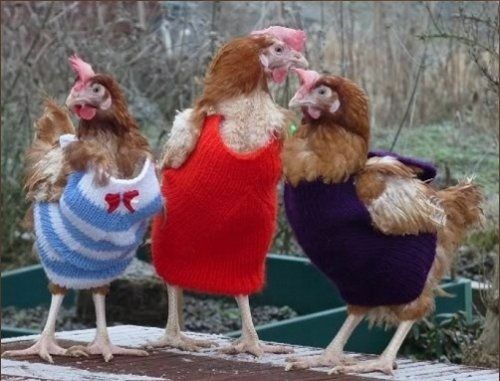 They don’t MEAN to be funny, but I don’t care who you are, chickens are FUNNY! And God said, “Let there be lights in the vault of the sky to separate the day from the night, and let them serve as signs to mark sacred times, and days and years, 15 and let them be lights in the vault of the sky to give light on the earth.” And it was so. 16 God made two great lights—the greater light to govern the day and the lesser light to govern the night. He also made the stars. If you didn’t get your PhD in Astrophysics (or maybe you were just distracted by something shiny, because believe me I can sympathize), let me clarify that for you. The greater of the great lights is the sun, and the lesser of the great lights is the moon. The stars are the stars. The text does not say so directly, but we can infer these are the stars where “Star Wars” or “Star Treks” take place. HOW could God have made LIGHT on day one and not made the SUN until day FOUR? WHERE DID THE LIGHT COME FROM WITH NO SUN?!?!?! Thus, it is argued, that the depiction of the creation CANNOT be literal, because there would have been no light without the sun. Response: This is an insufficient objection which has come to the scientific prom in a pink, rented tuxedo, and I will pants it before the populace during the spotlight dance. Or perhaps I’ll send it a terse Facebook message. I haven’t decided yet. I am seriously baffled by this objection, as the assumption upon which it is built shifts our mental image of God a step towards the realm of the Cartoon Network. Perhaps I am reading too much into this objection, but to me it implies that God spends the first three days saying things like, “Does anyone know where I put the socket wrench? I can’t see anything around here. I wish we hadn’t scheduled the sun for day four, because I could REALLY use some light while I’m working!” And I don’t want to sound like a fundamentalist, but I’m pretty sure all of that is something God never needed to say. As I write this, it is night time. The sun has set many hours ago and yet I can still see things around the room because there is still light in here. You may think I am lying, but I assure you it is true! With no use of magic or the supernatural, I am able to see items far across the room even though the sun provides no light by which to see. HOW you ask? 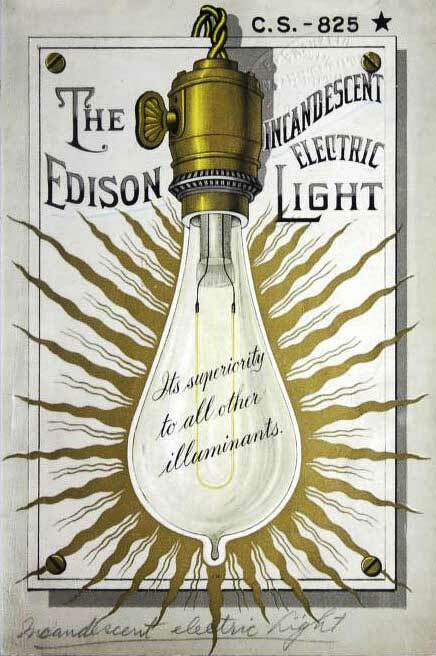 Because of the AMAZING “Edison Electric Light!” Contained within a bulb of glass is the technology to transform the energy from moving electrons into visible light! All sarcasm aside, if we can figure out how to make light without the sun, don’t you think GOD- the all knowing, all powerful creator of all things- could figure out a source of light which is also not the sun? I suspect he could have done so with very little effort on his part and-follow me here- without excessive use of fossil fuels. I think He could have done it. I really do. He can do things we cannot do. On the other hand, He can also do the things we CAN do, such as making light without the sun. How great is our God? Greater than even Thomas Edison. This entry was posted in Confessions of a YEC and tagged creation, days of creation, Genesis. Bookmark the permalink.